February, 2017 | AllTech Services, Inc. If you’ve lived in the area for even just a year, you likely know what a problem it is to have too little moisture in your home during the winter, or too much in the summer. It can make you feel uncomfortable, exacerbate illnesses, and cause your HVAC systems to work harder than they should need to. What’s more, is that chronically dry air, or chronic humidity, can cause significant damage to your home itself, particularly if you have wood floors, furniture, fixtures, or precision instruments. A key way to combat humidity problems in your home is with a quality Ashburn, VA humidity control system. In order to help you understand the importance of humidifiers and dehumidifiers, we’ve shared some info below on what more humidity control can do to your home. Were you aware that household leaks can account for over 10,000 gallons of water each year? And one of the most common places for these leaks to occur is in the bathroom—particularly from the toilet. 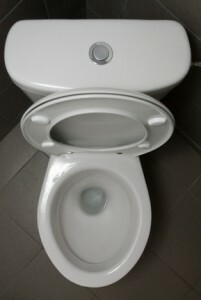 Fortunately, you can count on our team for quality Sterling, VA toilet repairs. We’ve dealt with plumbing issues of many varieties and can effectively resolve yours. In the meantime though, we’ve shared below some other common toilet troubles—aside from leaks—that you might run into, and what you can do to potentially avoid some other common toilet problems.